Let’s talk cabbage! More specifically, how to use cabbage in cheap vegetarian meals. With the prices of meat going through the roof lately, we’re all trying to find ways to stretch out food budget. The obvious answer: eat less meat. Unfortunately, the price of produce also seems to be on the rise. What do you do? The answer? Find inexpensive produce that’s in season and use it either as the star of your dish or to make a meal go further. Enter cabbage. Cabbage has a few things going for it. It is cheap, delicious and versatile! Adding cabbage to dinner is a tasty way to make a meal stretch further without sacrificing flavor or nutrition to accomplish that! 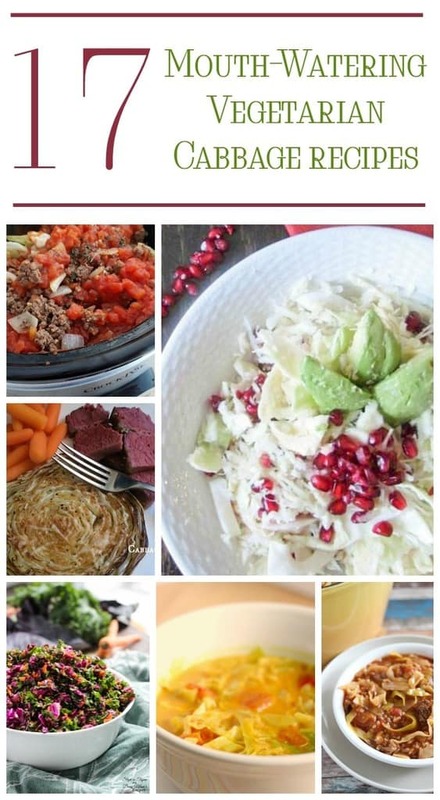 Check out a few ways to use cabbage to make large healthy meals on a budget. One note, first. As you browse these recipes, you’ll notice that a few have ground beef as an ingredient. These are the easiest to change into vegetarian recipes. Simply replace the ground beef with something like Morningstar Farms recipe crumbles or lentils. If your goal is to cut simply out red meat and not go vegetarian, ground turkey works 99.9% of the time as an alternative. I haven’t eaten red meat since I was 14, so trust me on that. Let’s start with one of our recipes from right here on OurFamilyWorld, shall we? This particular cabbage salad recipe is perfect for Valentine’s Day! Now, I know what you’re thinking: avocados can be expensive. You only need one, though. This is such a simple yet elegant lunch recipe, with cabbage playing a starring role. 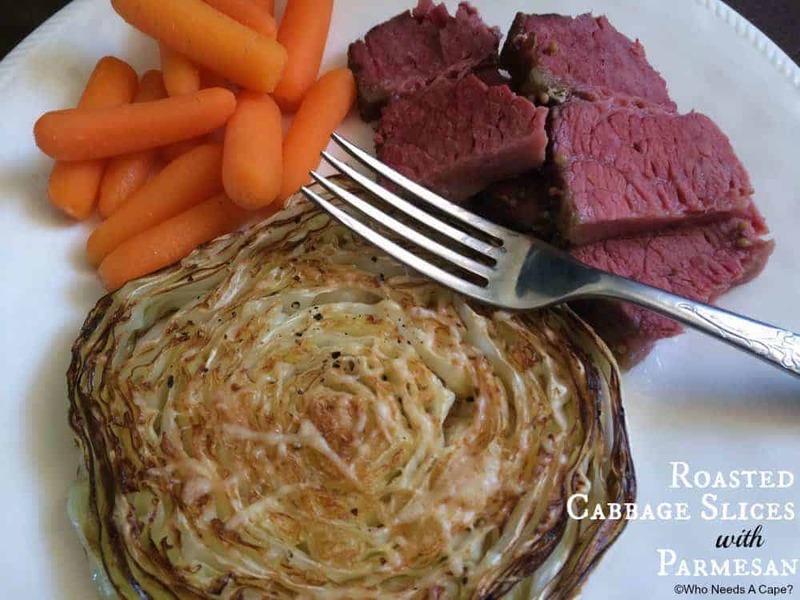 If you think cabbage is too soggy, you need to try it roasted! It brings out a whole new level of flavor and texture. Try these roasted cabbage slices from Who Needs a Cape, especially for those who are apprehensive about tasting cabbage. Soups are one of the best large healthy meals for families. They reheat beautifully and can be customized based on what you have on hand. 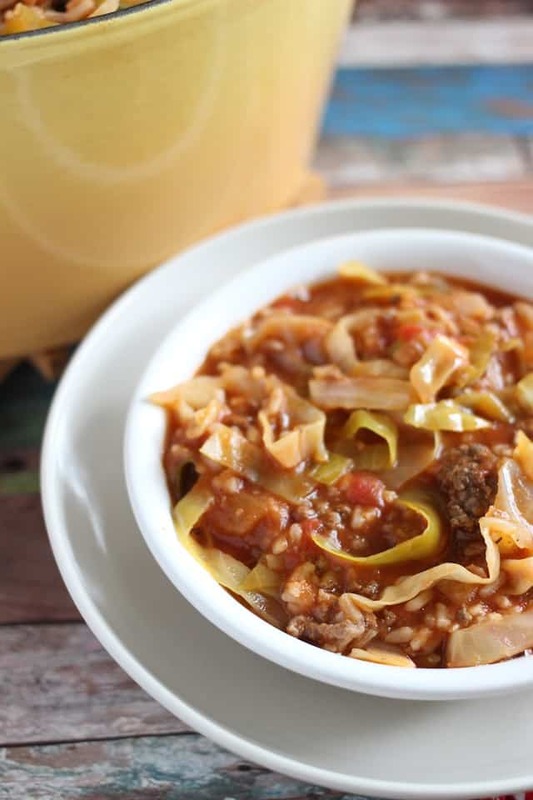 This stuffed cabbage soup recipe from Mama Loves Food calls for ground beef, but you can omit it or sub it. 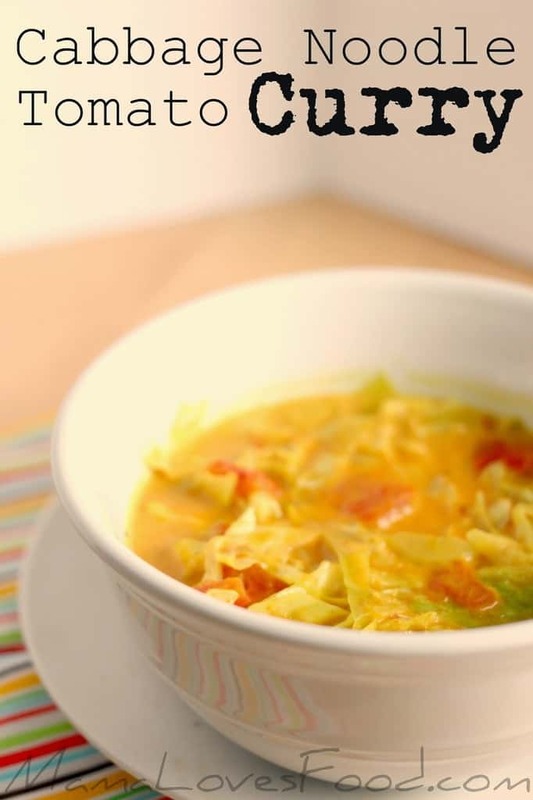 Another delicious cabbage soup recipe comes from Thrifty Diva. Again, omit or sub the ground beef. I love this one because you can throw all the ingredients in a slow cooker and let it go while you do other things all day long. For a side dish, it doesn’t get any easy than this frizzled cabbage recipe from Ann’s Entitled Life. Just two ingredients and a saute pan, then done! Mix in other seasonal vegetables or spices to give it more oomph if you prefer. You could also saute a little tofu to stir in. 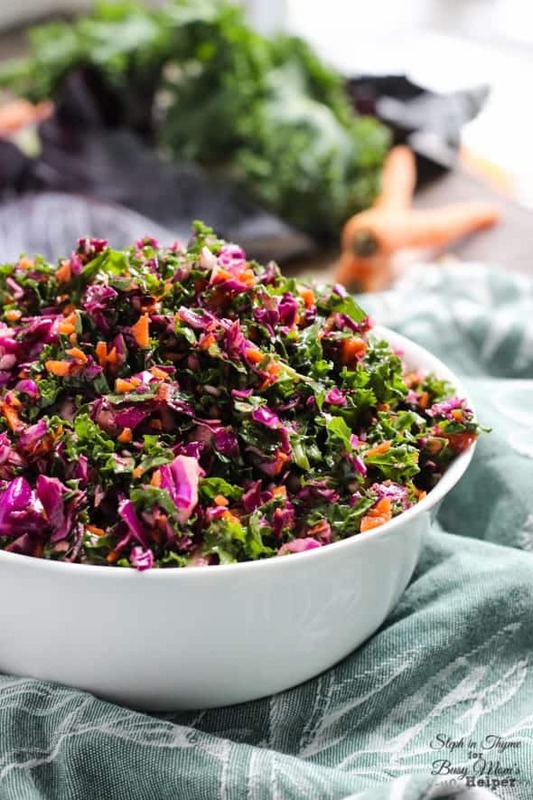 A bright, beautiful cabbage salad, this recipe from Busy Mom’s Helper doesn’t just taste good; it looks beautiful! She even provides an amazing dressing recipe. Whether you serve this on the side or as a main course at lunch, it’s sure to be a hit! Another one of my favorite cabbage cheap vegetarian meals from Mama Loves Food, this Cabbage Noodle Tomato Curry is great for fans of spicy goodness. You’ll be making “noodles” out of the cabbage. This is another great way to get kids and other cabbage-leery family members to try the veggie. Roasted Cabbage with Lime and Cilantro (I can usually find Cilantro for $1.20 a bunch at my grocery story, or grow your own). How Can Your Pet Help Stop Bullying and Boost Self-Esteem? What Are the Most Important Things I Can Teach My Child? Some great recipes here. I have been keeping my eye out for recipes that are tasty and cheap. I do enjoy cabbage is small amounts. So I may do a few of these. I like the noddle cabbage soup. That certainly has my interest. Thanks for putting this together. I’m not a huge cabbage lover, but this looks like it might taste pretty good. The curry cabbage looks really good, if only I liked cabbage though. But I love curry a lot. Wow , didn’t know that you can do this much. Thanks for sharing them all. I am always looking for new vegetarian recipes to try. I love cabbage and i have some right now i was not sure what to make with it. I will have to try one of these delicious recipes. This vegetarian approves! I have always been a fan of cabbage, but I certainly don’t eat enough of it. Thanks for sharing this round-up! How Do You Deal with Jealousy Among Siblings?